Can States Do the Public Option? The latest wrinkle in the public option debate (via Politico initially) is a proposal that comes from Senator Tom Carper, the Delaware Democrat that sits on the Finance committee. According to the proposal's latest draft, which Carper's staff is circulating but--I'm told--Carper himself is not really hawking yet, the idea is to let states set up their own alternative coverage options. Those options include starting a non-profit co-operative, opening up the benefits plan for state employees, or, yes, starting a real public plan. There's no trigger, at least in the document I've seen. All it would take would be action by a state legislature, signed by that state's governor. And states would be free to join with other states and create joint plans. But there would be various restrictions: A state couldn't create a public plan that tied reimbursements to federal Medicare rates (even with a higher percentage added on) and they couldn't compel providers to participate. 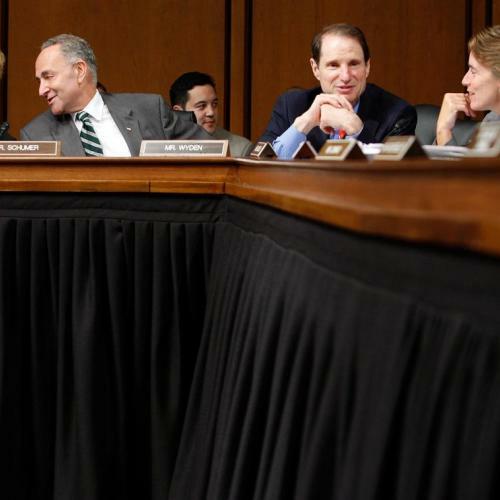 In these respects, states would be free to create relatively weak public plans--like the compromise measure Senator Charles Schumer has proposed--but not relatively strong ones--like the version Senator Jay Rockefeller has put forward. One interesting question is whether the proposal is already redundant, thanks to an amendment that another member of the Finance committee, Ron Wyden, introduced that Chairman Max Baucus accepted before the hearings even began. Amend Title I, Subtitle A to allow a State to be granted a waiver if the state applies to the Secretary to provide health care coverage that is at least as comprehensive as required under the Chairman’s Mark. States may seek a waiver through a process similar to Medicaid and CHIP. If the State submits a waiver to the Secretary, the Secretary must respond no later than 180 days and if the Secretary refuses to grant a waiver, the Secretary must notify the State and Congress about why the waiver was not granted. – Insert at the beginning of c)(2) GRANTING OF WAIVER.— The Secretary shall approve the plan only if it meets criteria consistent with that of the America’s Healthy Future Act, including that it shall lower health care spending growth, improve the delivery system performance, provide affordable choices for all its citizens, expand protections against excessive out-of-pocket spending, provides coverage to the same number of uninsured and not increase the Federal deficit. What does the gobbledygook mean? Wyden's staff says it's designed to encourage state experimentation. I haven't yet gotten an official reading from Finance Committee staff on their interpretation. But my own reading, which I've run by a few analysts, is that it gives states the ability to implement coverage schemes that bolster coverage, control costs, and improve quality at least as well--and hopefully better than--the Senate Finance bill. That would include creating a public option. (You could even read it to allow a state-based single-payer plan.) So it's the Carper amendment, but without the restrictions. The catch is that the secretary of HHS would be the arbiter of whether state proposals met those criteria. Liberals I consulted said the proposal worried them because it'd open the door to scaling back existing programs that serve the poor. In other words, imagine what happens in 2022, when the governor of Idaho petitions the federal government for permission to gut Medicaid--and President Sarah Palin tells her HHS Secretary to give the go-ahead. Another problem that the Carper and Wyden proposals seem to share is that they envision many different state plans. A public plan works better, maybe a lot better, if it's national scale. Still, it's an interesting idea--and interesting to see Wyden behind it. 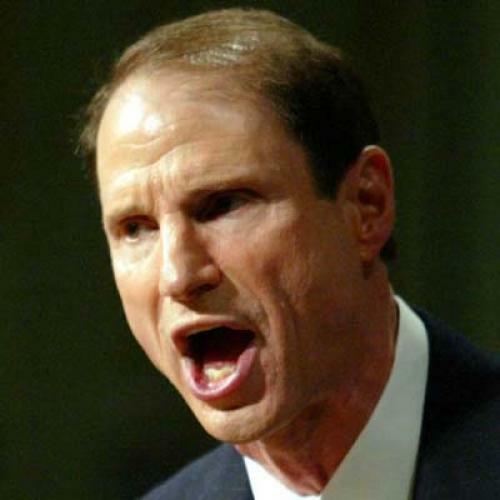 Public option proponents have been among those attacking Wyden in the last few months, because his Healthy Americans Act doesn't include a public option. But he always indicated he was not opposed to the idea. And when the idea came up for an actual vote this week, he voted with the majority of Democrats, in favor of not just Schumer's but also Rockefeller's strong version, as well.